Skinny Gourmet Guy: Craving Something Sweet? I really have a sweet tooth. It usually strikes in the late afternoon. I put off having lunch as late in the day as possible to give less time for snacking. As I've posted before, I have soup and a gigantic salad for lunch, and try to graze on the salad for a good long time. But when I do indulge in something sweet, I have a two-pronged approach. First, I have a tiny bit of dark chocolate. The intense flavor really satifies my urge for something sweet. And the good news is that dark chocolate is actually good for you. 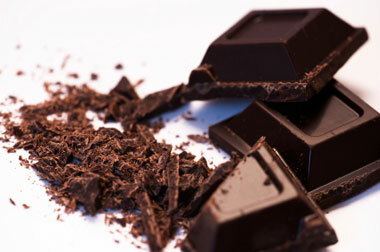 Studies show that eating dark chocolate may contribute to improved cardiovascular health. Packed with natural antioxidants, dark chocolate and cocoa sit in the same good-for-you category as green tea and blueberries. That's because chocolate comes from cocoa beans which grow on the cacao tree which are full of natural plant nutrients. Most of the studies to date highlight dark chocolate's health values because it has the highest percentage of cocoa solids - i.e. more antioxidants. Other studies have shown that epicatechin, a compound in dark chocolate, may protect your brain after a stroke by increasing cellular signals that shield nerve cells from damage. 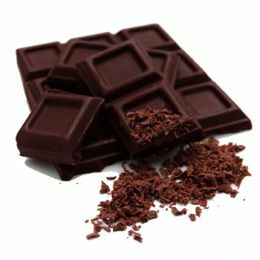 But before you start to rejoice, a study I found on line indicates that the ideal amount to have is 6.7 grams of dark chocolate per day - a bit less than half a bar a week. So, don't get carried away! 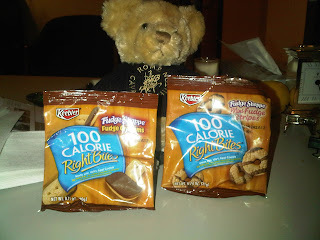 Here's my one-two punch: I have a square or two of dark chocolate (along with a cup of decaf) and a half bag of one of Keebler's 100 Calorie Right Bites. You get a bag of cookies weighing 20 grams. I know there are purists out there who don't like these fake cookies (and low fat mayonnaise and fat free half and half). I'm one of those people who doesn't care. I looked on line and didn't see any horrible things written about them. 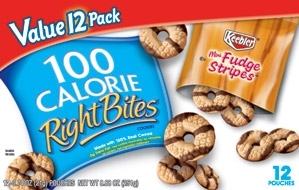 And, the Keebler's low cal cookies are infinitely better tasting than the 100 calorie Oreo cookie imitations. If you enjoy a sweet burst in the late afternoon - and who doesn't? Give my plan a try. Milk chocoate doesn't have the same good health benefits as the dark so try to avoid that - you may have to develop a taste for the dark. And, I like that the cookies come in portions so you don't eat a huge box of them.